This is no longer the case. While Chile took a back seat to Australian Shiraz and Argentine Malbec, producers started to find the right fit with varieties and vineyards, including Chile’s flagship variety, Carmenere. This wise move is still working its way into the hearts and minds of international wine consumers. More exciting is the work being done with cool climate Sauvignon Blanc from Casablanca and mineral-like Chardonnays from Limarí, not to mention major statements being made with Syrah, Cabernet Sauvignon, Cabernet Franc and blends. While the country is still known for value wines, production over the past decade proves it shall be known for quality as well. Jake Pippin, USA Market Manager for Wines of Chile, recently presented an array of a dozen top Chilean wines that would measure up with top wines from anywhere in the world. So while I cut my teeth on cheap Chilean Merlot in the 1970s, I know have been introduced to some of the world’s very top wines and they are Chilean. It is time for Bordeaux, Burgundy, Champagne and yes, the Napa Valley to share the spotlight; the Chileans are making a huge statement. Isn’t great to revisit an old friend and see how they have evolved into something greater? Here is a trio of super fine Chilean wines that will bring you up to speed on where Chilean wines are today. 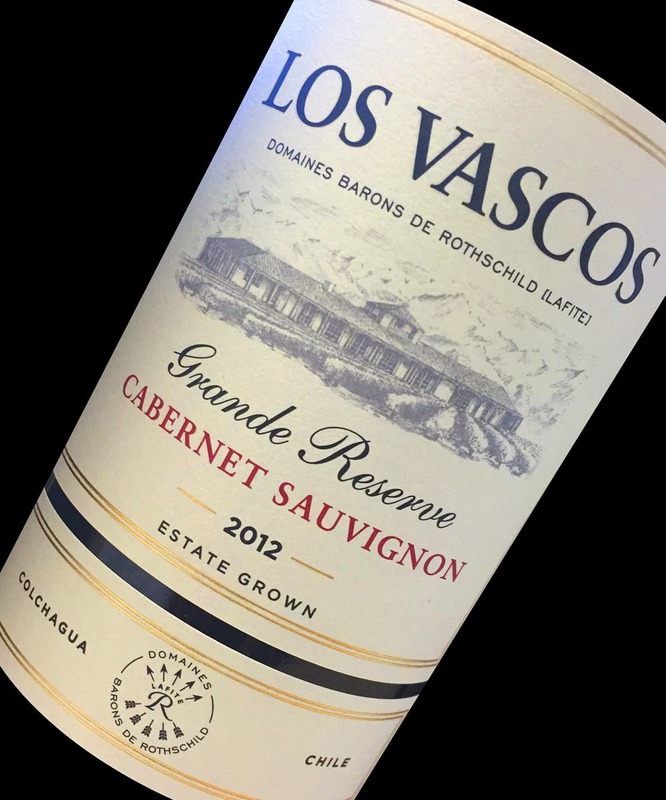 The 2012 Los Vascos Grande Reserve Cabernet Sauvignon – classic producer with a classic, quality Cabernet – it says Chile and Cabernet in a concise, easy-drinking way.